So you need to know how to find a QuickBooks ProAdvisor. First of all, let’s learn the top things to know so you can choose the right one for your company. A QuickBooks ProAdvisors is a bookkeeper, accountant, or CPA who has proven to be trained and certified in QuickBooks products by passing a rigorous training process developed by Intuit, the company that developed QuickBooks. There are a number of reasons why you may want to hire a QuickBooks ProAdvisor, whether it’s setting up your books, training you and your staff, or managing the day to day bookkeeping. Benefits of Hiring a QuickBooks ProAdvisor? Experts in QuickBooks Desktop and Online Software, QuickBooks Setup, QuickBooks Training, and Management. QuickBooks ProAdvisors are the first to be notified of all product updates, alerts, and discounts. 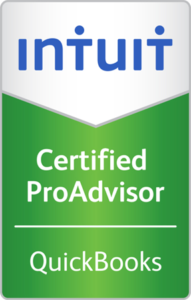 QuickBooks ProAdvisors have access to a dedicated customer service team within the Intuit support team. Advisors implement their own policies. One might talk with you briefly before establishing a relationship, but the program is designed for you to develop a long-term connection. QuickBooks ProAdvisors have access to a tremendous variety of resources to serve clients, and it’s best to get together and create a plan for using them.